Mindful Birth Hypnobirthing Childbirth Ed. I am an expert in prenatal and postpartum massage (in addition to being a birth doula, placenta encapsulator, and childbirth educator). 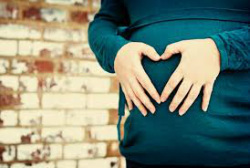 I have helped many pregnant clients with sciatic pain, swelling (edema) of the hands and feet, low back pain, SI joint paint, insomnia, digestive trouble, leg cramps, restless leg syndrome, stress relief, and relief of general muscle tension and pain. Toward the end of your pregnancy I can help your body prepare for childbirth and even do acupressure and cupping therapy to help naturally stimulate labor when you are near or past your due date. www.sanctuarypilates.com Pre/postnatal sessions, group and duet option! Birthing From Within: An Extra-Ordinary Guide to Childbirth Preparation, Pam England. Active Birth: The New Approach to Giving Birth Naturally, Revised Edition, Janet Balaskas, Harvard Common Press, 2000. The Birth Partner: Everything You Need to Know to Help a Woman Through Childbirth, Penny Simkin, Harvard Common Press, 1989. Ina May’s Guide to Childbirth, Ina May Gaskin, Bantam Books, 2003. The Thinking Woman’s Guide to a Better Birth, Henci Goer, Berkley Publishing Group, 1999. The Baby Book: Everything You Need to Know About Your Baby From Birth to Age Two, William Sears MD and Martha Sears RN, Little, Brown and Company, 2003. Bestfeeding: Getting Breastfeeding Right for You, Mary Renfrew, Chloe Fisher, and Suzanne Arms, Celestial Arts, 1990.